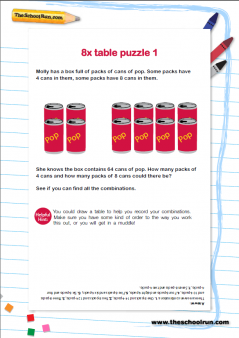 Need some fun strategies to help your child's times tables stick? 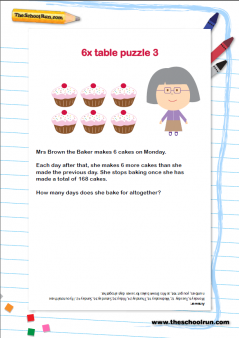 Our Times Tables Funpack offers puzzles and games galore. There are fairground ducks to hook, safe codes to decipher, dominoes to play with and more. Your child will be so busy puzzle-solving, they won't even realise they're putting their tables into practice. Learning the times tables is a fundamental part of KS2 maths, but getting the numbers to stick can be a challenge. 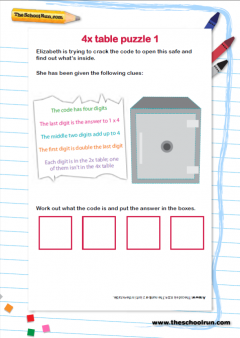 Our Times Tables Funpack, written by a primary school teacher, is designed to get your child thinking and using their times tables to solve practical problems - the best way to consolidate their learning. The games included in the pack also offer an alternative way to test your child's learning and get them practising, without the frustration associated with rote learning and chanting. Depending on your child's age and confidence with their tables, try a quick game of Fast Factors, Dominoes, Times tables Right or Wrong, Pairs or Bingo, or get your thinking cap on to play What's the Question? or Jumbled Times Tables. For a more straightforward approach to times tables learning download our Terrific Times Tables pack - it's full of practical tips to help your child learn, printable certificates and basic activities for times tables beginners. 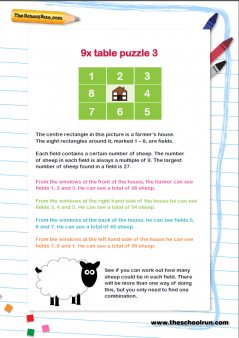 You can also browse through some of the 60+ times tables worksheets on the site to find the particular number set your child is learning.